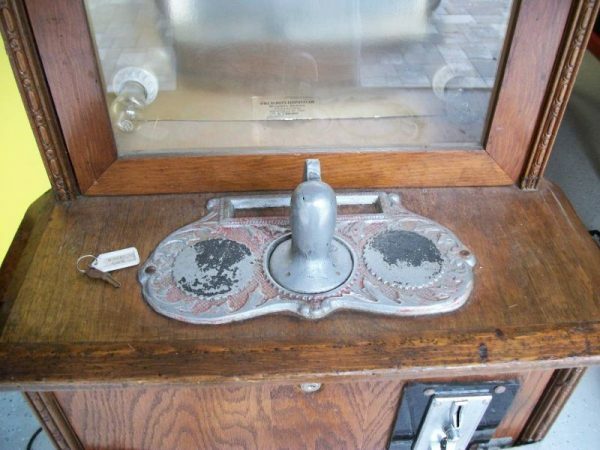 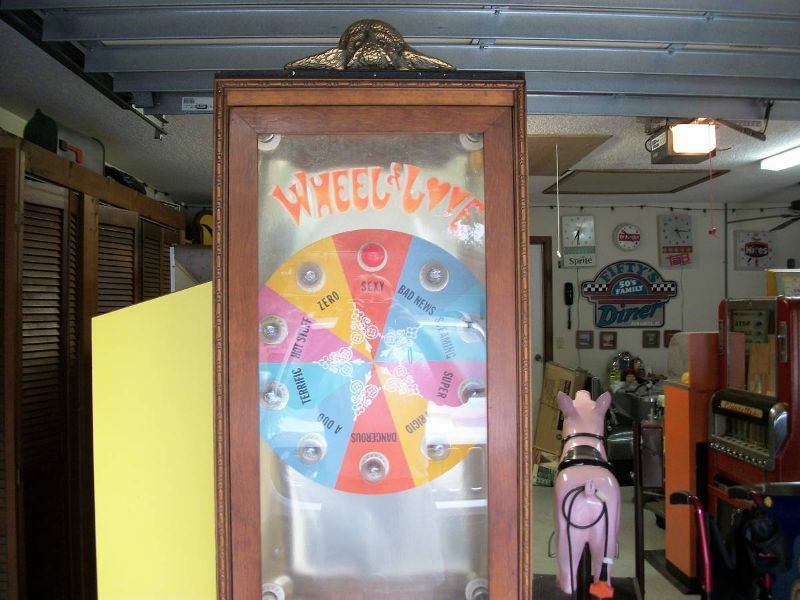 Nice old vintage coin operated wheel of love penny arcade machine in as found condition. 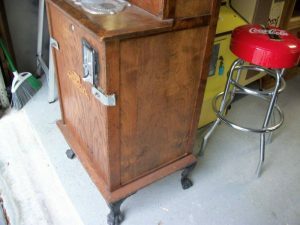 Will need to be serviced to work correctly but looks to be complete. Coin entry has been repaced over the years, lock is not original and the marquee is a replacement. 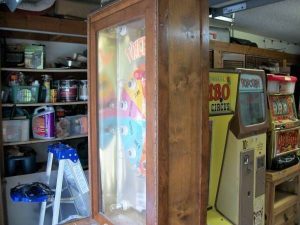 Neat arcade machine to add to your collection…….